Kundalini Yoga Counselling® is a specialisation course based on Kundalini Yoga as taught by Yogi Bhajan. 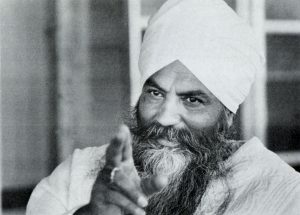 Yogi Bhajan always saw counselling as parallel to his role as Master, i.e. both an entrepreneur and a spiritual leader. He openly engaged in counselling in order to teach this vital skill to his students. Everyone who practices and teaches Kundalini Yoga should learn the art of counselling, since it forms an integral part of teaching and is a natural evolution for those who, having learnt to know themselves, can then learn to know and lift up others. Kundalini Yoga Counselling® gives you the possibility to explore the origin of psychological and physical problems and to offer practical suggestions, using the disciplines which are an integral part of Yogi Bhajan’s teachings. What is KYC, why should we use it, how and when? To access the specialized Training Course “Kundalini Yoga Counselling”® you must have completed the Teacher Training Level 1 . At the end of the course you will be issued a valid Attendance Certificate for the subsequent request of the European Certificate of Holistic Counselor. The Training Course “Kundalini Yoga Counselling”® you must have completed the Teacher Training Level 1 . At the end of the course you will be issued a valid Attendance Certificate for the subsequent request of the European Certificate of Holistic Counselor.